Sony camera adapter kit allows you to attach your SONY Alpha camera to your telescope via any T threaded camera adapter. Fits Sony Alpha camera A55, A77, A100, A200, A230, A290, A330, A350, A380, A390, A450, A500, A550, A560, A700, A850, A900 , Minolta Maxxum 5D, 7D, 7, 9xi, 7xi, 5xi.Fits all standard 1.25" astro telescopes and accepts filters (thread inside tube). 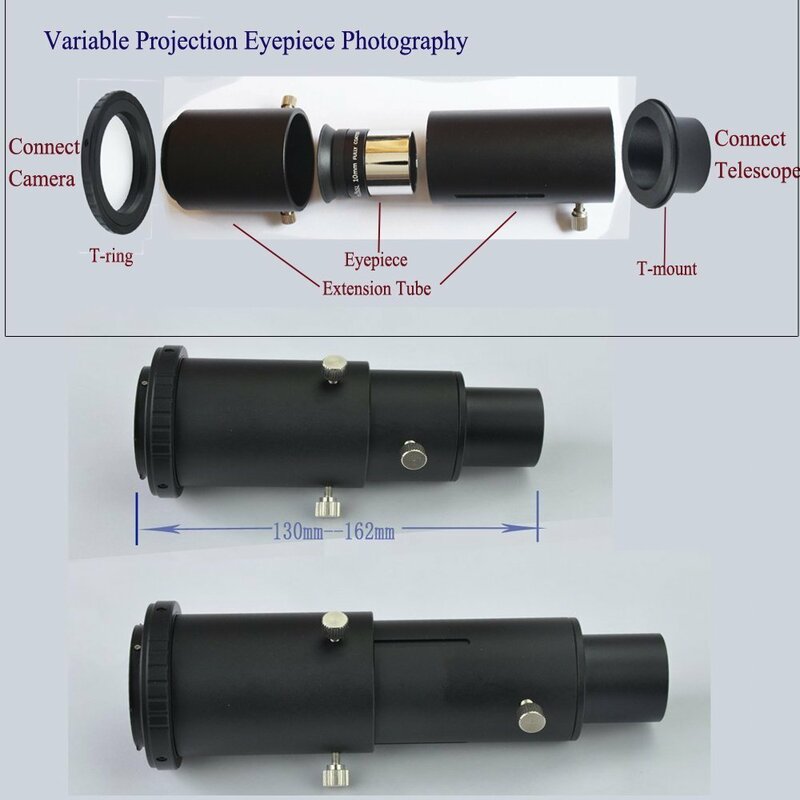 An essential accessory for anyone who uses an astro scope for digiscoping. 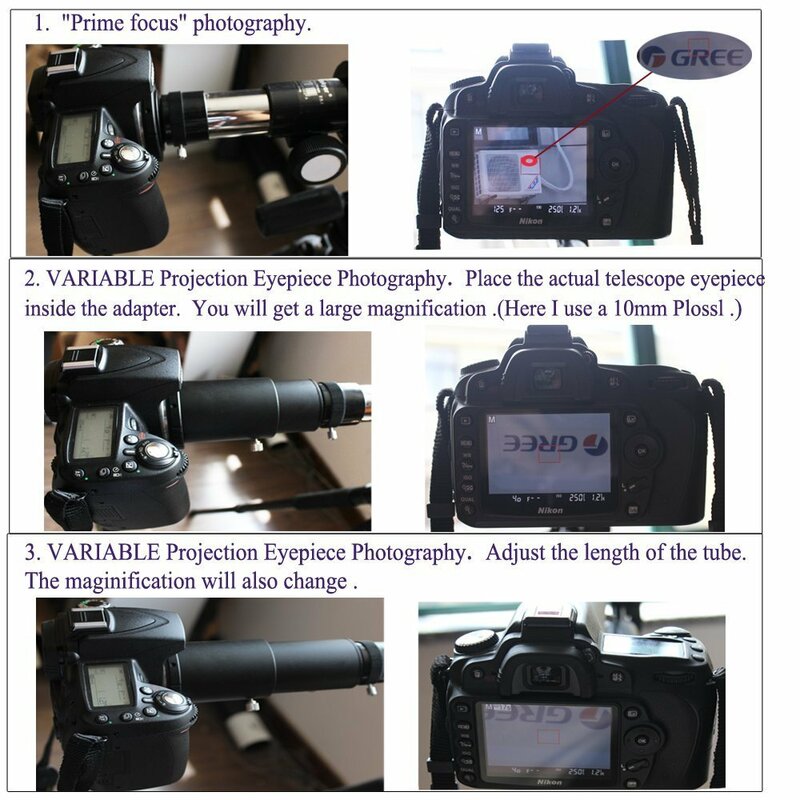 It is a camera adaptor for direct (Prime focus) photography with a SLR camera and eyepiece projection photography. This can also be used for cameras with a filter thread (T/52 converter and approptiate stepping ring required).All metal construction.